When Guy AKA The Berry Man, started this company one of his founding principles was to do everything in his power to say yes to his customers. “Where there is a will, there is a way” is an adage we live by here at The Berry Man. Of the many things I have learned from him this is probably the principle that has led to the most success. Our customers know that if there is something that is hard to find they can call The Berry Man. Over the years we have had some pretty fun and far out requests for obscure products. Whether it be locating thousands of pounds of foraged wild mushrooms or asking a grower to harvest his strawberries green for the latest avante garde recipe I get to play a hand in making that happen. Finding these products and fulfilling those custom requests illustrates the core of our culture. We will go to extraordinary lengths to make our customer’s happy and to get them what they want…we prefer the term “consultant” to salesperson. We are here to help! Working at Berry Man gives me a birdseye view into what’s going on in the kitchen’s of our top culinary talent. Being a product specialist requires being ahead of the curve so lucky for me I stay on top with the help of our customers. Here is a look at some recent culinary trends. It was the year of the whole roasted cauliflower and avocado toast. Then we all added sriacha to our sriacha- and our aiolis, sandwich spreads, beef jerky, popcorn, you name it-we poured it on. Oh let’s not forget how kale became so cool. Since the inception of the kale Caesar back in 2010 kale reached its pinnacle in popularity. Heck, we even launched our own line of living kale. Juice was a big trend. Not just juice, but “cold pressed” juice… Pressed between cold plates rather than a traditional juicer. $100 million dollar industry and going strong-The term “Juicery” was coined. We saw many open this year. Move over sriacha- alternatives for the “cult hot sauce”. Watch for harissa, Piri Piri, and spicy honeys. Wheat is back Big predictions for wheat…yes gluten! There is a revolution in the industry for sustainably produced heirloom wheat and grains. Think artisanal flour ramen noodles. 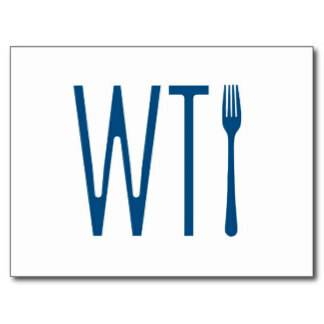 The farm to table concept applied to wheat and flours where origin and heirloom count as much as the dish itself. Flowers in food Edible flowers have long garnished the plates. But Chefs are incorporating them more into their dishes for their flavor. Think peppery Nasturtium and viola petals tossed into a salad. Grab a drink In beverages, micro distilleries are all the rage. The industry is trending toward small batch production. Tired of coconut water? Try maple and birch water. Filtered through the trees, it has a light maple flavor along with minerals and electrolytes! Pickled or fermented/“brineries” a modern day comeback. What was once a way to preserve food has now become a way to enhance food and give it that extra dimension or punch. We are noticing non-traditional pickling veggies like fennel being brined in high quality vinegars. Seaweed Chefs are adding to poaching broths, risottos, and sauces for an extra layer of umami. “Peel to stem” Produce is predicted to be more of a center of the plate than ever before. Not just a side dish – Chefs are utilizing the entire vegetable and creating a plate where it is the star. Vegetables truly can do anything that pork, chicken or beef can do. BEET tartare, BEET bourguignon…you laugh? Oh yes… restaurants are featuring elaborately prepared veggies as entrée’s. Meat as a garnish? You know what that means? More produce! Great news for us! What the fork do I do with red shishito peppers? Red shishito peppers are simply a mature shishito pepper. 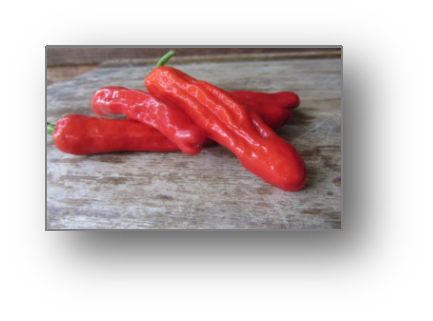 Shishito peppers are classified as a sweet Japanese pepper variety, though, that does not guarantee all shishitos will be sweet. Red shishitos are firm and bright red in color and their the flavor is a deep concentrated pimento. There is no definitive way to distinguish a spicier pepper from a mild one except for actually tasting the pepper. I think it would be fun to pair the red with the green for balance of sweet and spicy. Try blistering them in a pan and sprinkle with sea salt.